Why does the English government hate Yvonne Williams and Yvonne Smith? Why does the English government hate Yvonne Williams and Yvonne Smith? Yvonne Williams is 59 years old, Black, a grandmother, a Jamaican-born immigrant with no family left in Jamaica. Yvonne Williams has been in England since 2002. She has been the primary carer for her grandchildren. She has also tended to her 82-year-old mother, who arrived in England in 1962. Yvonne Smith is 64 years old, Black, a grandmother, a Jamaican-born immigrant with no family left in Jamaica. Yvonne Smith has been in England for twenty years. She has been the primary carer for her 92-year-old father, who arrived in England in 1957. 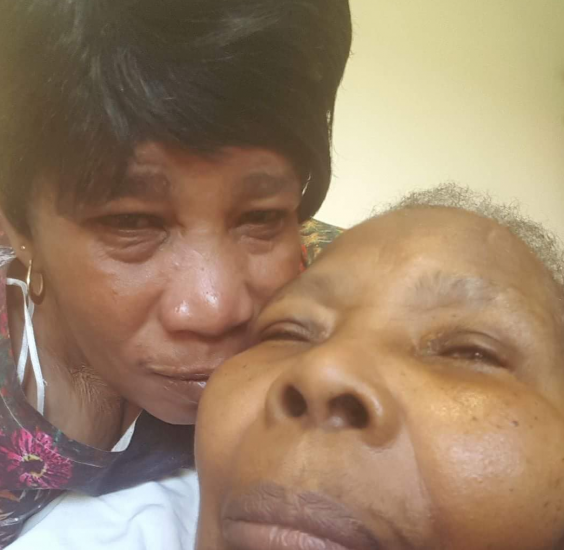 Both Yvonne Williams and Yvonne Smith spent the last nine months in Yarl’s Wood, and both were informed last week that they were to be deported any day now. In the past four days, both Yvonne Williams and Yvonne Smith were released from Yarl’s Wood, but the cloud of deportation, intimidation and abuse still hangs over them. What horrible crime have these two blameless Black grandmothers committed? Migrating while Black; living while Black. The English government has hated so very many women of color, women whom they’ve dumped into Yarl’s Wood, terrorized, and then either `released’ or deported. In the past year, that list includes Kelechi Chioba, Erioth Mwesigwa, Shiromini Satkunarajah, Irene Clennell, Chennan Fei, Patricia Simeon, Opelo Kgari, Florence Kgari, and Paulette Wilson. Paulette Wilson is 61 years old, Black, a grandmother, a Jamaican-born immigrant who arrived in England at the age of 10, in 1968. After World War II, England needed labor and so `encouraged’ migration from the Empire and the Commonwealth nations. It passed the British Nationality Act of 1948 which gave citizenship to anyone living in the United Kingdom and its colonies and offered the right of entry and settlement. In June 1948 the HMT Empire Windrush brought 492 people from Jamaica to England. The generation of Afro-Caribbean women, men, children who went to England, to rebuild the country, is known as the Windrush Generation. Paulette Wilson, Yvonne Williams and Yvonne Smith are members of the Windrush Generation. In 2012, then Home Secretary Theresa May revealed her “hostile environment” plan: “The aim is to create here in Britain a really hostile environment for illegal migration.” In 2014, that plan became law. The problem is that the Windrush generation, including their children, are legal. Being legal doesn’t mean one can’t be, or become, criminalized, especially if one is Black. Recently, the Home Department revealed that it kept “`ambitious but deliverable’ removal targets.” With that revelation, and the flood of stories of Windrush individuals and families, the so-called Windrush Scandal erupted. Now the State has apologized … sort of. Now the State claims that citizenship will endow to members of the Windrush generation, all members of Commonwealth nations who came during the same period, and children of the Windrush Generation. Meanwhile, Yvonne Smith is still being told she might be deported. The ”hostile environment” is a hateful environment. Its use of health service data to restrict immigration is “a very bad idea”, and intentionally so. The “hostile environment” has spread to other countries in the European Union and to the criminalization of migrants, immigrants, and those who support them: “The hostile environment permeates deeper and it’s very easy once a destabilising environment has been established for it to permeate through the layers to a very low level indeed.” Abusive and violent men are using the “hostile environment” to threaten, control and hurt their partners. None of this is surprising. The “hostile environment” is designed as a reign of terror, which targets women particularly. It permeates through the layers to a very low level indeed. Hostility identifies its “target” as an enemy. Not an outsider nor a stranger, but an enemy. A “hostile environment” is a declaration of war, and this particular war is being waged on the bodies of elder Black women. Ending the “hostile environment” policy is a small, and necessary, step. The larger step would be to recognize that the “hostile environment” is a “hateful environment”, and then, having named the violence as hatred, address the hatred. Why does the English government hate blameless Black elder women Paulette Wilson, Yvonne Williams and Yvonne Smith? The hostile environment. It’s not hostility; it’s hatred.